I recently got my self a sweet new Weber Kettle Grill in Crimson. I love it, but it is like learning to grill all over again. I knew where all the sweet spots and hottest areas were. Now, I am figuring it out all over again! That’s half of the fun I guess. 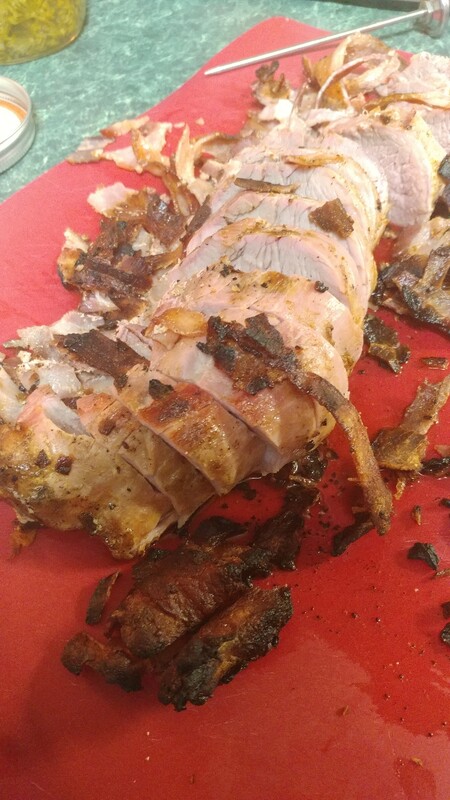 On this round of experimentation, I weaved some bacon together and wrapped it around a Pork Loin. 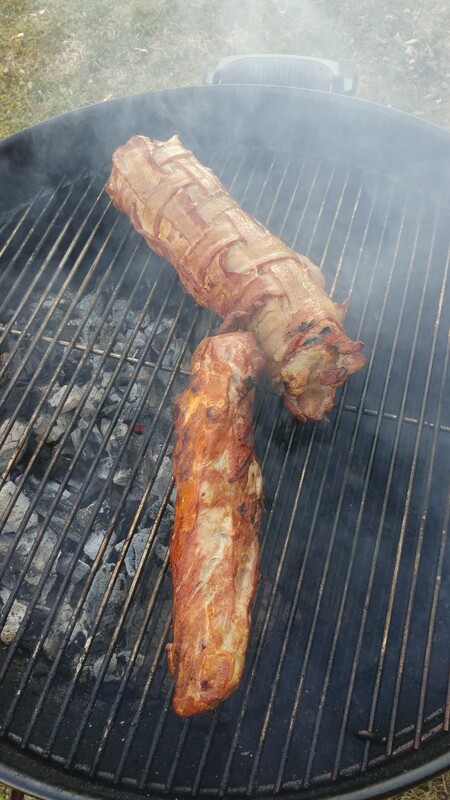 Pork Loin is one of my favorite things to grill. If you do it right it comes off so tender! They are actually really simple to do as well. I like to season mine with a basic Pork Seasoning. I used a State Fair Seasoning from a local guy that is awesome. 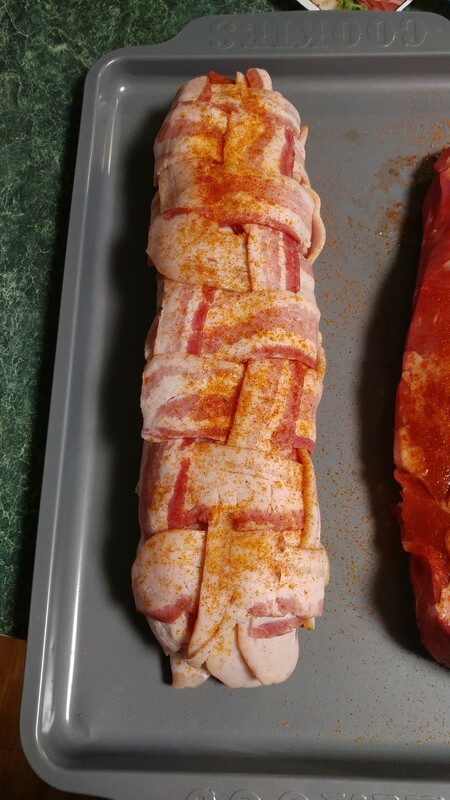 I rub it down and then I wrap the bacon weave around it. Depending on flavor, I sometimes like to sprinkle some of the rub on the bacon as well. I like to lay the pork loins right on the edge of the coals and as the coals die down, I move the loins closer over the top. With the lid on and vents open, I like to let the Pork sit for about 4 minutes or so and then I rotate it around. I do this about for about 15 minutes or so or until the internal temp of the Pork Loin hits about 145 to 150 degrees. Pull it off the grill and let it sit for about 10 minutes to rest. Perfect timing with this post as I have two pork loins in the freezer which I would like the husband to grill on our Weber. But I had no idea how he should do this. Thanks to you, I now do.